You have decided to wear your favourite Lehenga or that Saree tucked deep side your closet, reserved for special occasions. You have your favourite Chaandbalis in place and all is well. Till the minute you decide to drape that Saree or sashay in a Lehenga, you realize you have a vital piece of clothing undecided- a fancy Blouse! 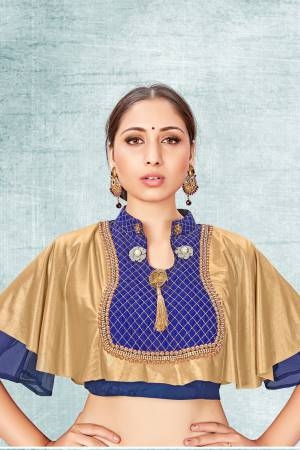 Well hunting for blouses last minute can be quite a task and then all the planning that you literally went through goes for a toss and you ultimately realize the importance of blouses that go well with Sarees and Lehengas! A simple solution to this dilemma is buying readymade blouses online! We at Craftsvilla, take pride in hosting variety of blouses suitable for each and every style need. Be it designer blouse pieces or regular, we have got them all. No need to make those numerous trips to the tailor shop when you can shop any piece you need on Craftsvilla. A beautiful Blouse piece can instantly let your style soar high up on the trend radar. It has the ability to take your outfit from 0-10 in a matter of minutes. Our latest collection of blouse patterns is the perfect blend of trend meets tradition and is suitable for every occasion that demands you to look your very best! Formerly known as Kanchuli, which later gave birth to the now popular Choli, the style of wearing blouses with beautiful Sarees or any other outfit for that matter was made immensely popular by the elite Bengali women. In the British era, the fabulously flaunted designer blouses and various other blouse patterns in the form of jackets, chemises, and shirts. This complimented their Sarees to a surprising level of perfection and hence began the routine of wearing Blouses every day. The blouses have evolved since then into various fancy blouse and blouse patterns, easily available online. Not only have blouses got everyone talking on the Indian shores, but are also gaining popularity on the International style circuits. We couldn't be more proud to have a house full of chic and charming blouses online that pay homage to the rich Indian sartorial and cultural traditions! Come; indulge in our latest collection of blouses as well as designer blouses that will definitely save all those absolutely unnecessary trips to the tailor that you have to make for any festive or wedding occasion. Indian womens clothing is all about vibrant colours, dazzling designs, intricate thread work, embellishments, fantastic Jewellery etc. Our latest blouses are a tribute to this very cornerstone of ethnic Indian fashion, coupled with the very latest trends. Stand out in style with Craftsvilla's one-of-a-kind designer blouse pieces that will help you make a statement, no matter what the occasion demands. A dazzling blouse has definitely become the most wanted ethnic essential. Make a trendy traditional statement with our chic Crochet blouses at any office party. Walk in our ethnic Motif printed pieces coupled with you favourite Sarees or Lehengas and make heads turn at every Wedding, Party or festive occasion you attend. Do you always fall for trends? Let our Zipper blouses do all the talking at any given party! Want to go all out and take some inspiration from old Bollywood charm? Check out our High Neck designer blouse section. You are looking for a trend that is rooted in tradition and we have it. Give your favourite Saree or a Lehenga the true friend it truly deserves with Craftsvilla- after all, our collection boasts of all your favourite blouses and fancy blouses and this collection is just a click away. Keep in mind simple pointers before choosing your pick and you won't regret buying any blouses! Always remember- fabric first. Go for a blouse fabric that is averse to clinging to your body. In case you are heavy on the top, always refrain from heavily embellished designs and power through with single, solid hues. Go crazy with our latest high and halter necks in case you have a thin neck and a small frame. Love your curves? Enhance their beauty with open backed blouses and full or 3/4th sleeved fancy blouse pieces. Always been a broad-shouldered beauty? Then go for never-seen-before necklines that stretch from one shoulder to shoulder, making your collar bones pop. Always, always pick blouses with short sleeves so that it obscures the breadth of your shoulders. Have a slim, athletic form? Good for you since the number of blouses you can sport is huge- full sleeves, high necks, heavily embellished, barebacked, the works! Now, be it any season of ethnic style Wedding or festive, sport blouses like never before with Craftsvilla's latest collection. After all, a fabulous designer blouse is the best accessory you can ever strut in! The key to having an ethnic wardrobe that exudes grace and style is experimentation. What better place to follow that, than the biggest ethnic fashion destination online? 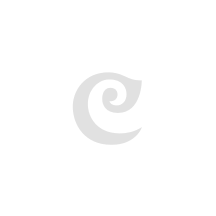 We at Craftsvilla aim to keep up with the trends by updating our collections with the latest fashion every single day. Our blouse collection is in harmony with tradition and trends both! Right from Haute Noodle Strapped blouses to elegant High Neck ones, we have it all and shall be getting more each and every day. Silk, Zari, Jacquard and much more are always in stock, perfect for every fancy Saree or Lehenga in your wardrobe. Latest styles and designs are available at amazing, affordable prices. We stand for the phrase- value for money and will always aim to create a wonderful, fulfilling shopping experience online. Shop with us and refresh your ethnic fashion sensibilities every day! Head to our website to get in on the latest ethnic trends or download our smartphone App to avail discounts and never-seen-before prices for priceless ethnic outfits.